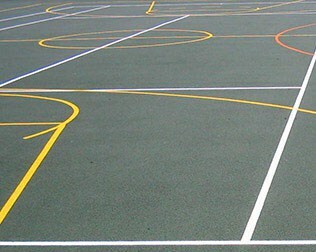 We have designed and built hundreds of Multi-Use Games Areas (or MUGAs for short) for football, tennis, basketball, hockey, netball and roller-skating. We specialise in complete design and build projects, from excavating the site and landscaping to manufacturing a fence support that doubles as a basketball post. We act as main contractors, helping clients through safety regulations and liaising with planning authorities. Our in-house lighting consultancy provides informed comment and advice on lighting systems. Our team members deliver the highest standards of workmanship, skills and supervision. 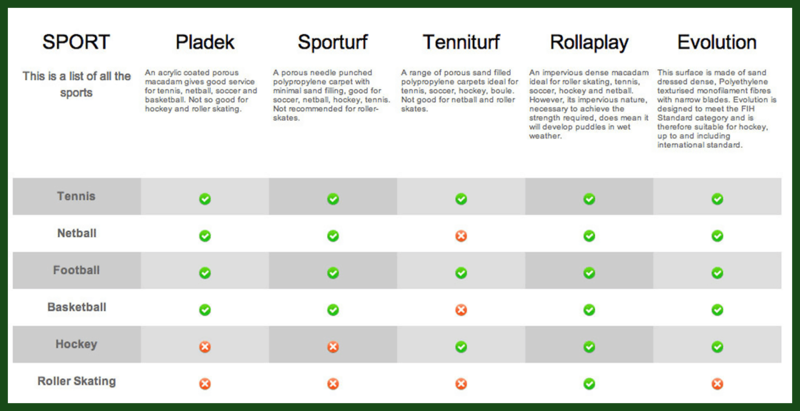 We are happy to advise you on which MUGA surface best meets the requirements of your particular sports.